Often times student loans get in the way of a mortgage because of the tremendous monthly debt, but fintech lender SoFi wants to create the opposite effect. They’ve launched their so-called “Student Loan Payoff ReFi,” which as the name implies, is a way to get rid of student loan debt while refinancing the mortgage. The general idea is that mortgage rates (at the moment) are lower than the interest rates on student loans, meaning borrowers can save money by shuffling debt to their existing mortgage balance. Apparently 8.5 million households have student debt obligations, so this mechanism could equal a lot of savings, and a lot of originations for SoFi. The program is being offered in conjunction with Fannie Mae, and is apparently cheaper than a traditional cash out refinance. Say a student (or I suppose a parent) owns a home with a mortgage balance of $200,000 at 67% LTV, and there is also outstanding student loan debt of $40,000. 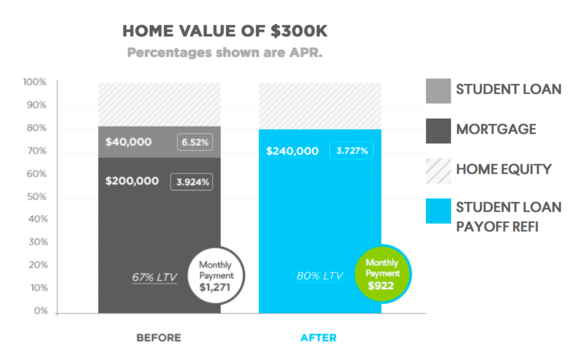 This hypothetical homeowner can combine the two debts into one and enjoy a lower interest rate, despite a higher LTV. This example would push the LTV to 80%, likely the maximum under the program, but the rate would still be a competitive 3.75% or so on a 30-year fixed. The payment would be even cheaper because student loans often amortize over a shorter period, such as 20 years. But the lower combined rate would offset the longer amortization period. SoFi will actually disburse the funds directly to the servicer of the student loan debt, instead of just giving the borrower cash at closing. Because the funds are going straight to the student loan company, instead of the bank account of the homeowner, there is less perceived risk. After all, in general homeowners are welcome to tap equity to use for whatever they’d like, including paying off other loans. But lenders assume more risk if the funds can be used for any purpose, such as buying a Hummer. This might explain why the interest rates on this product are more competitive than typical rates tied to a cash out refinance. Borrowers might get a rate closer to what they’d expect to receive via a rate and term refinance, the latter of which involves no cash to the borrower. It might also be easier to qualify if the to-be-paid-off student loan debt no longer bumps up the DTI ratio to unacceptable levels. This program works for both those who manage their own student debt and those who have a co-signer on the student loan such as a parent. Per Experian data, the average homeowner with an outstanding co-signed student loan has a balance of $36,000, while those with Parent PLUS loans have $33,000 in outstanding debt. The Parent PLUS loan is a private offering and apparently 90% of private student loans required a co-signer. They also tend to come with interest rates that are higher than current mortgage rates. The one downside to a program like this is that the funds can only be used for one purpose. 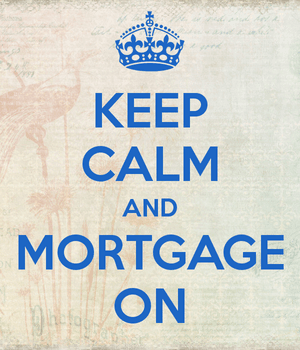 And your home loan debt will grow, which could potentially put your primary residence at risk. As noted, a traditional cash out refinance allows you to tap equity and use funds for any reason. In a nutshell, you get more flexibility. However, the interest rate might be higher than this product from SoFi. Of course, you’d still want to shop around to see if you can get the best of both worlds. You might be able to snag a low rate without sacrificing any flexibility.